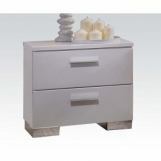 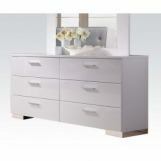 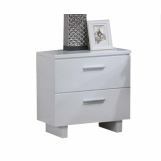 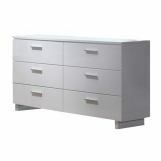 White finish and the horizontal drawer pulls bring a dramatic yet playful feel to this Acme Lorimar Bedroom Set. 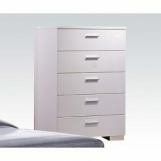 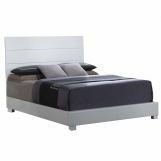 Bed features clean and flat panel headboard. 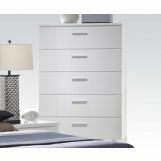 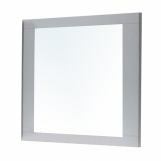 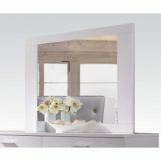 A simply designed Lorimar Collection with straight angular lines will become the focal point in your bedroom.